Stephanie joined MHBC in June 2017, after completing two co-op terms in both our London and Kitchener offices. Stephanie works with primarily private sector clients to provide land use planning advice, project management, and obtain various development approvals, including Official Plan and Zoning By-law amendments, subdivision, condominium and site plan applications, as well as consent and minor variance applications. Stephanie also has experience reviewing municipal documents including Official Plans and Zoning By-laws. Stephanie has previous work experience with the public sector at the municipal level. 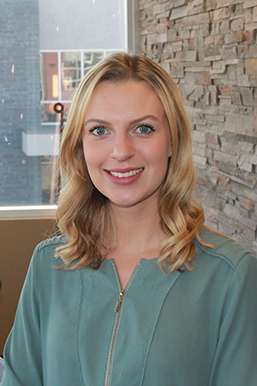 Stephanie completed her undergraduate degree from the University of Waterloo and received her Bachelor of Environmental Studies Honours Co-op Planning (BES) in June, 2017. Stephanie is a candidate member of the Ontario Professional Planners Institute.